First, figure out what type of article you will write. There are many different types. Journalism articles are written for most readers and answer five basic questions about a news story or event: Who? What (or what happened)? When? Where? Why? And, how? Professional articles are written for a particular audience of professionals in a given field (or sub-field). These articles are usually technical in nature and follow a range of formats typical of publications in the field. Most people who write professional articles follow a format specified by a professional organization or a particular publication. There are several types of articles called review articles. Book reviews, movie reviews, restaurant reviews and reviews of plays are often features printed in newspapers and magazines, and thus a special form of journalism article. Some review articles might take a different, more academic or theoretical tone if written as a professional article. A review article for research or professional purposes most often refers to a special type of research article called a literature review. Other forms of review article might look at consumer products (such as a technology review or a review of new automobiles). No matter what type of article you write, WhiteSmoke English writing software will help you write a better article. Its online dictionary and thesaurus software will help you choose the precise word you need, and its English grammar software and spell check software will help prevent errors. Once you have decided on the type of article you will write, read articles of that type. If you are writing an article for a professional journal, or one in that style, familiarize yourself with the journal. If you are writing for a particular magazine, get to know the magazine by reading several issues. Check writing guidelines. As you can see, there are a variety of ways to do research--not all of it in the library, although often including library research. No matter what form your research takes, it is rather important to know your subject. WhiteSmoke knows about English grammar. Linguists helped develop its powerful English grammar software. 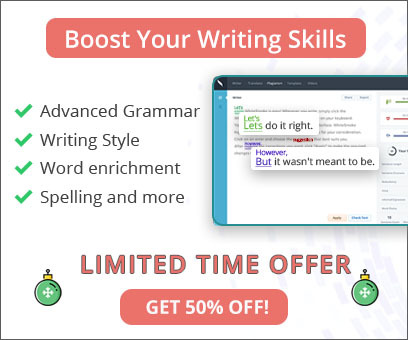 The English grammar checker and spell checker will help you keep your writing clean, producing a better article for you to send to editors (or turn in to your teacher). 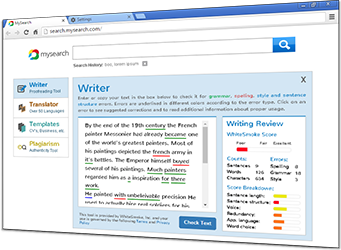 Use WhiteSmoke throughout your writing--it's the English writing software you can count on. Its creative writing solution will help you with your writing needs. Start your article with a strong introduction. Develop the story with narrative, examples, explanations, descriptions, and critical thinking. Write strong paragraphs that flow. Then write a conclusion that satisfies the reader that you have told the whole story, and told it well. After you have finished with a good draft, check the word count. If you need to write a short article, eliminate unnecessary words to reduce your word count so that you don't exceed your maximum word limit. The WhiteSmoke thesaurus software can help you choose a strong word that might take the place of a few weaker words. Use active verbs. Reduce passive sentences. Keep checking your word count until your article has fewer words than the maximum in the publisher's guidelines.